Little kids love to control the water faucet, but struggle to reach sometimes. The Aqueduck Single Handle Extender is the answer! 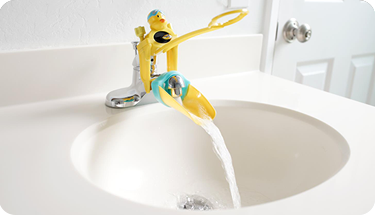 It controls hot and cold water flow and features ducky wings to help keep the water temperature just right. The fun extender makes it easy for kids to access water and is a great safety feature to eliminate reaching and climbing to grasp the handles. I wish I had this when the kiddos were younger, because it is the perfect solution. It really does work. So easy. Plus it is a cute addition to a children's bathroom decor! It is easy to install too. Works on just about any single handled faucet. I think this is a great solution! 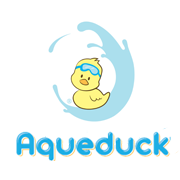 Check it all out at Aqueduck on Facebook.